Christmas is the annual commemoration of Jesus Christ’s birth and millions of people around the world celebrate this event. For your business, Christmas can be an extremely effective time of the year to make your brand more visible through a smart marketing campaign. So if you don’t have any plans yet for holiday, time is ticking. Don’t waste this great opportunity to make people aware of your products or services. Prepare branded gifts to send to your customers, partners or even your employees. Some of the most popular gifts for Christmas are items like diaries, calendars, bottles of wine or food hampers. But in our struggling economy, is hard to justify a gift that disappears in a few hours and leaves only a brief memory about it. Calendars and diaries have a greater value, as they tend to stick around for a longer period of time. But let’s be honest, who uses them anymore, when we all have smartphones, tablets, notebooks or laptops and desktops that do the same thing with higher functionality. Branded USB flash drives are a more interesting alternative for today’s highly technological society that we live in. They can imprinted or engraved with your company logo, brand name or a particular message, a Christmas theme can be included in their design, can be purchased with attractive gift boxes and preloaded with your digital data before they are sent away. Your preloaded data can contain Christmas greetings or other Christmas message you want to send. Your branded USB memory drives can act just like an electronic Christmas card. You can even add a short movie, a recorded audio message or simply put descriptions or information about your products or services. Your Christmas USB stick will be a “Thank you” sent to your loyal customers or will act like an incentive to potential new ones. Either way, it will be product that will remind the receiver about your business for a very long time and every time it is used. Branded USB sticks are a more budget efficient incentive than any box of chocolates, case of wine or food basket. They last much longer, they will not disappoint the receiver in any way, plus, they are extremely useful items for any computer user. They are popular giveaways, efficient gifts in any advertising and marketing campaign, not matter the time of the year. If you decide to use promotional USB flash drives for this Christmas, take their lead times into consideration. From the time you make the order, until they are delivered, it usually takes around 10-14 working days. 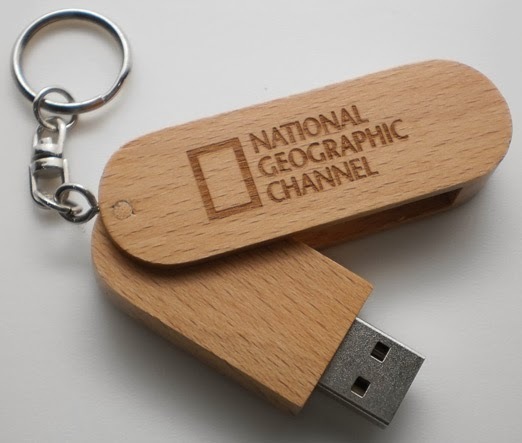 So make sure not to issue your order too late.If you are interested in buying branded USB sticks you should definetely check USB Company products. For this time of the year, you might want a more generous printing space for your promotional USB memory drives, which allows you to send a more detailed message. USB Credit Card can be a good choice. But if you want your gift to stand out from the crowd, you can opt for a more customised product like the USB Bespoke or USB People, which can be designed to better suit your needs. Johan Ellingsen the author of this article, is the owner of Branded USB Company, based in UK. He likes to write about the latest gadgets on the market, latest trends in technology and tips on how to increase your business visibility. Find more of his work on Facebook.